Cake time, and an interesting one too. 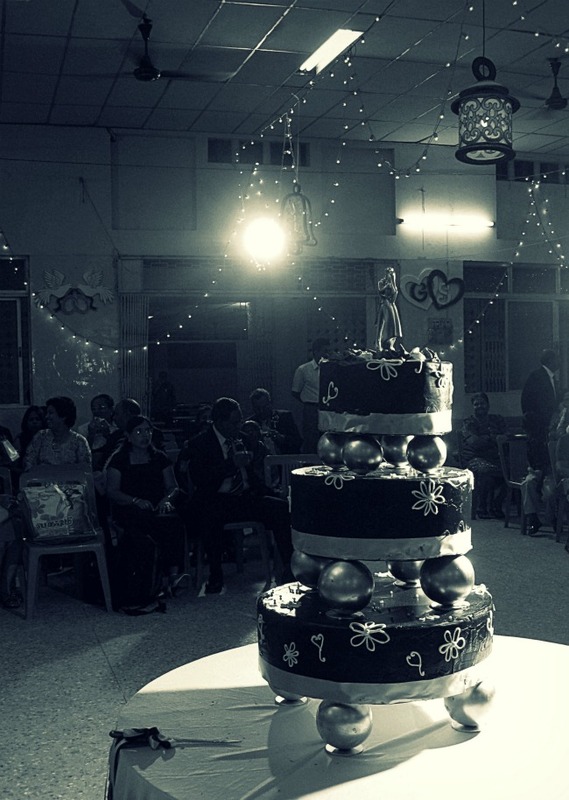 Glen & Teena's wedding cake, moments before the couple made their way into the hall. I remember it being chocolate. I do not however, remember having the cake. I remember Benny Dayal with the mudskippers performing on stage, and all the dancing that followed. I have for sure forgotten all the we learnt at those ballroom dance classes we took. T'was a fun wedding. Missed the one that followed, and here's hoping to catch the next one. Can't wait to embarrass a lot of people with my stick-man-like moves. Definitely having the cake!